In this edition of The Executive Explorer, we visit the fascinating and luxurious city of Dubai. 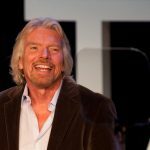 Experiencing first hand the very best on offer for the discerning traveller, and giving you our top recommendations. 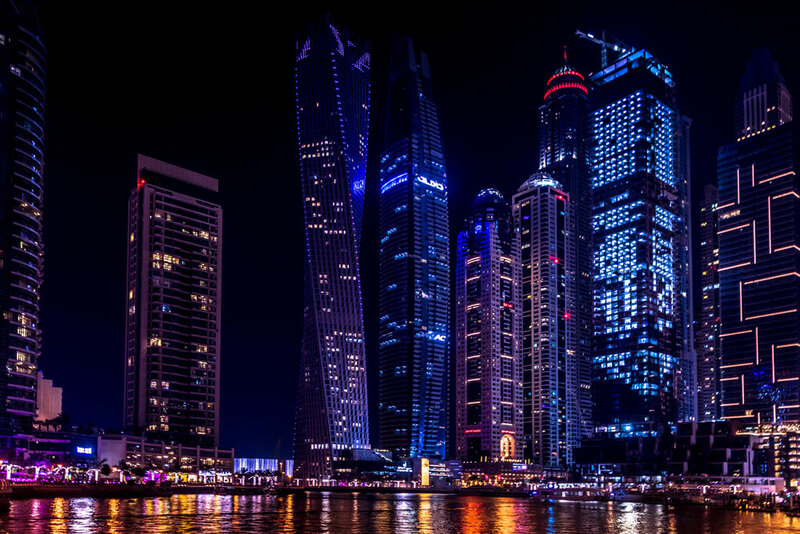 Far from the misconceived stereotype, and erroneously described as a place of strict Muslim practice, Dubai is a hugely Westernised region of the Emirates, and has the most relaxed laws in all of Saudi Arabia. With beach parties, ladies nights, music festivals and some of the most revered restaurants and nightclubs in the world, Dubai is a playground for the rich and famous. We travelled around the city, seeking out the very best that this incredible place has to offer – from luxury hotels to fine dining restaurants and VIP nightclubs. Located conveniently on the central marina, The Address is a luxurious chain of hotels spread across the city. Known for their 5 star luxury, exceptional service and impressive facilities, the rooms are large, well appointed and comfortable. We chose the Dubai Marina hotel for it’s convenient location which is just a short walk from the beach, and range of amenities including an infinity pool overlooking the Marina. With a grand and elegant lobby clad in marble, the welcome is warm and friendly, with staff there to cater from your every need. The rooms are extremely spacious, light and airy, with a touch screen control unit to take care of the TV, lights, AC, even room service. With a private balcony overlooking the Marina, the rooms are quiet and peaceful. The world’s only 7 star hotel, the Burj Al Arab has been setting the standards of luxury for the past 20 years, and they haven’t slipped in that time. 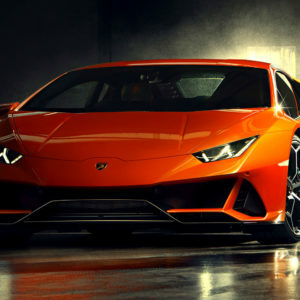 Adopting modern touches such as a fleet of chauffeured Rolls-Royces and solid gold iPads in every room, decadence and all-out luxury is prevalent in every aspect of the unique architectural masterpiece. Designed to become the icon of Dubai, the hotel that reflects the UAEs past and its future, as well as its bold ambition to become one of the most culturally diverse and dynamic cities in the world. Each room is personally tended to by a dedicated butler, who looks after every aspect of your stay. 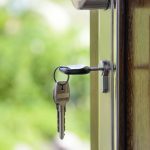 They act as a personal concierge, taking care of your every need. 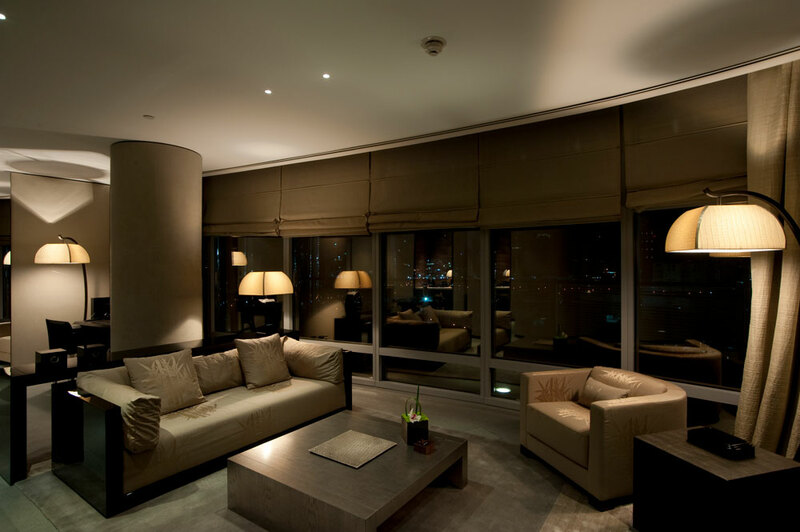 The rooms are appointed to an exceptional standard, with an unmatched attention to detail. An incredible 1,790sqm of 24-carat gold leaf was used to embellish the interior of the hotel, which stands taller than the Eiffel Tower at 321m high. The attention to details is astounding, and touches such as the Eiderdown bedding which comprises of feathers hand-picked from abandoned Eider Ducks nests in Iceland, which drape every bed, and a team of 16-florists who operate 24 hours, seven days a week. 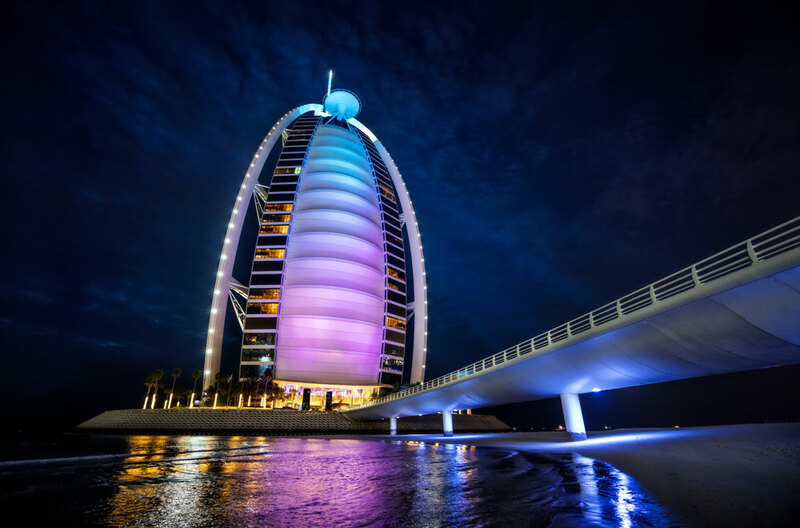 The experience of staying at the Burj Al Arab is like no other, and is certainly something that we would recommend to anybody. 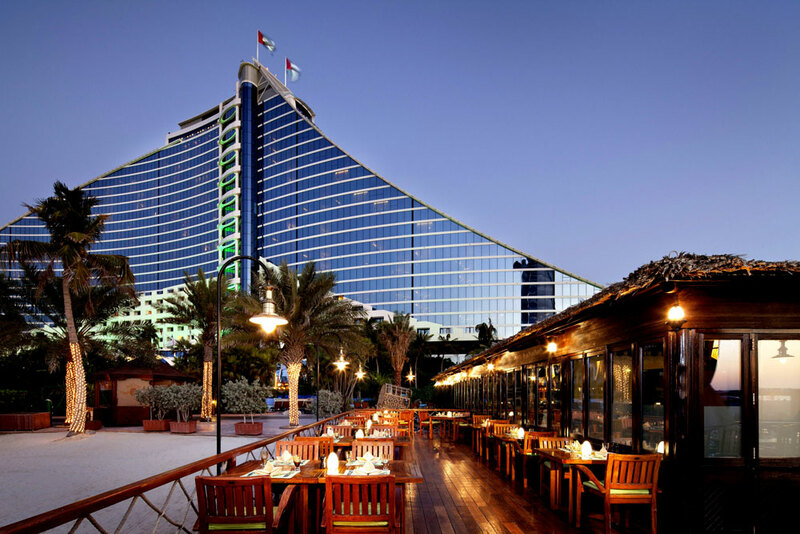 Acting as the wave to the Burj Al Arab’s sail, Jumeirah Beach Hotel is a large resort featuring restaurants, bars, a nightclub, pools, and its very own private beach. The ultimate family lifestyle destination, Jumeirah Beach Hotel has undergone a significant makeover, and after two years of renovation, the 21st birthday celebrations of the hotel the changes have been well received. All 425 guest bedrooms, the public spaces, lobby, retail areas, beach and outdoor facilities, restaurants and dining outlets have been completely revamped. Jumeirah Beach is also part of the Wild Wadi waterpark, one of the original tourist attractions in Dubai, and along with the kids club and family entertainment, the resort is perfect for children, without compromising on luxury and comfort. 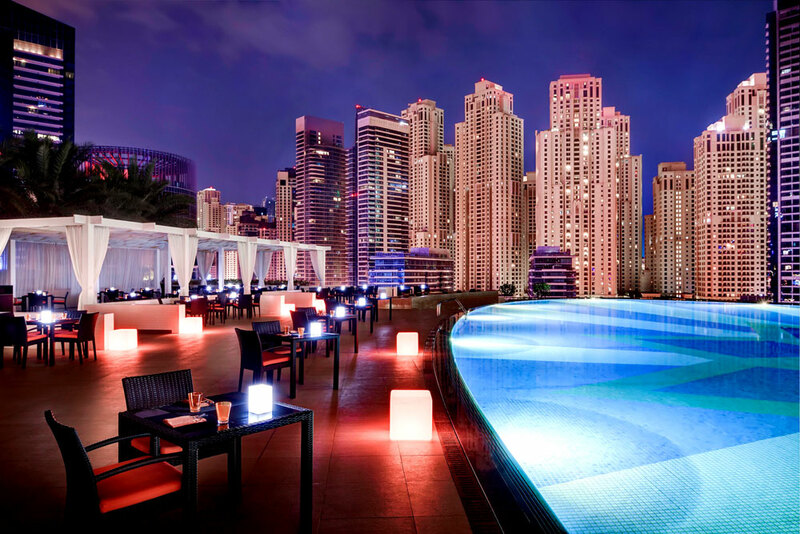 Located in the Burj Khalifa, the Armani Hotel offers an ultra stylish and modern setting in the world’s tallest building. Labeled as ‘A world of sophisticated beauty’, the Armani is exquisitely decorated, and designed personally by Georgio himself. Accessed through its own grand entrance, the hotel exclusively occupies eleven floors of Burj Khalifa, each one reflecting the essential values of pure elegance and sophisticated comfort that define the Armani style. 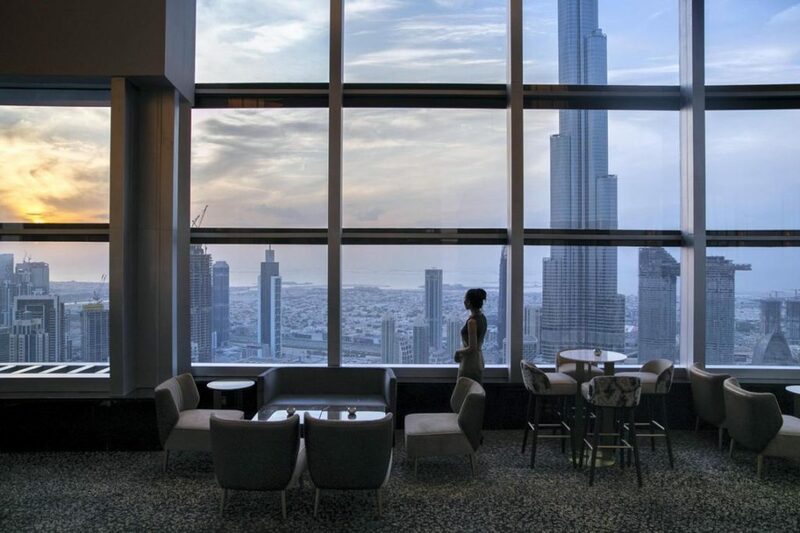 Armani Hotel Dubai is the realisation of the designer’s long-held dream to bring his personal style to life in the most inclusive way, by offering guests a unique ‘Stay with Armani’ experience. Every detail in the hotel bears the Armani signature, from the warm hospitality through to each individual design element from the Eramosa stone floors to zebrawood panels, bespoke furnishings and personally designed hotel amenities. Sophisticated colours, clean lines and unique textures blend together with the tower’s stunning architecture, and utilises natural light to create a calm and relaxing atmosphere. 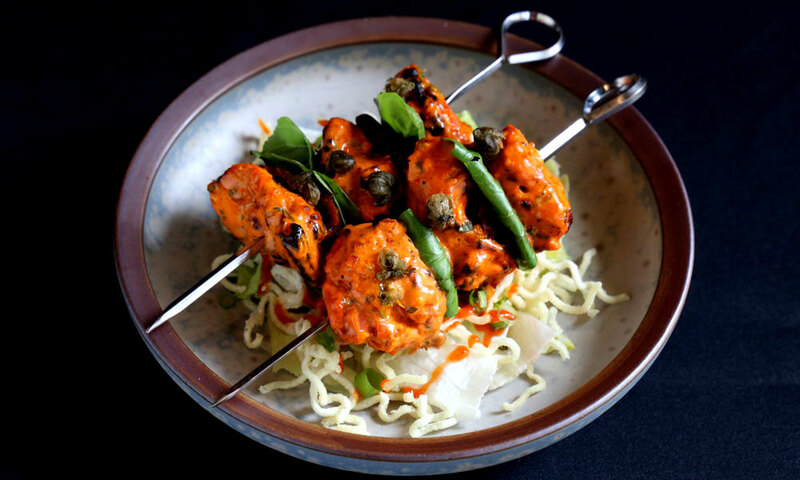 Indian cuisine and fine dining aren’t often attributed to one another, but Trèsind have broken the mould, and are doing it in style. 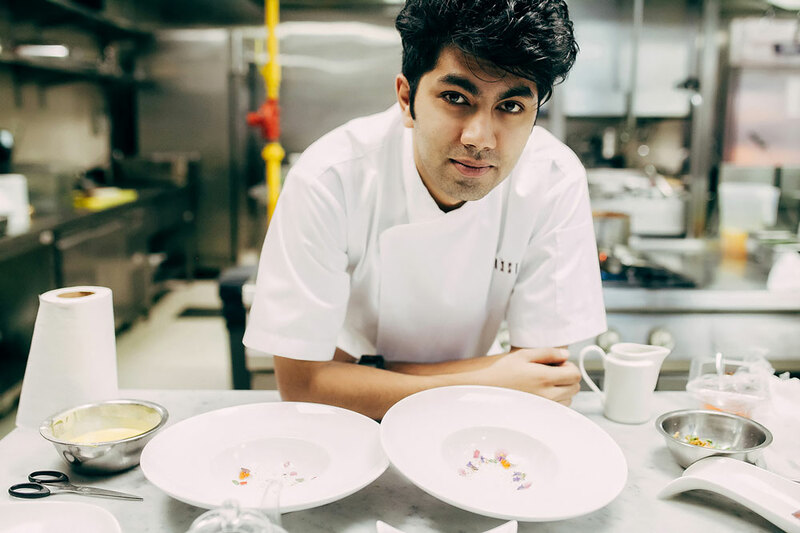 A modern fusion of traditional Indian food with a modern twist, executive chef Himanshu Saini has created a unique and distinctive menu. Discreetly tucked away in the Nassima Royal Hotel, this hidden gem provides a culinary journey of the senses, with each and every dish having its own story behind it. One example are the Guchchi mushrooms nicknamed ‘lightening mushrooms’, a delicacy which are only found in a very specific region in foothills of the Himalayas in India, where the south facing slope is prone to lightening strikes. This unique landscape a geology provides the perfect conditions to grow the fungus, which resembles a pine cone, and tastes sublime. Another unique aspect of the Trèsind style is the live chef table service. Street food style dishes with a modern twist are prepared before your eyes, including smoked chicken tandoori which is wrapped in a cedar wood sheet and flamed to infuse the succulently cooked meat with incredible flavour, and pan fried prawns prepared in a blend of delicious fresh herbs and spices. 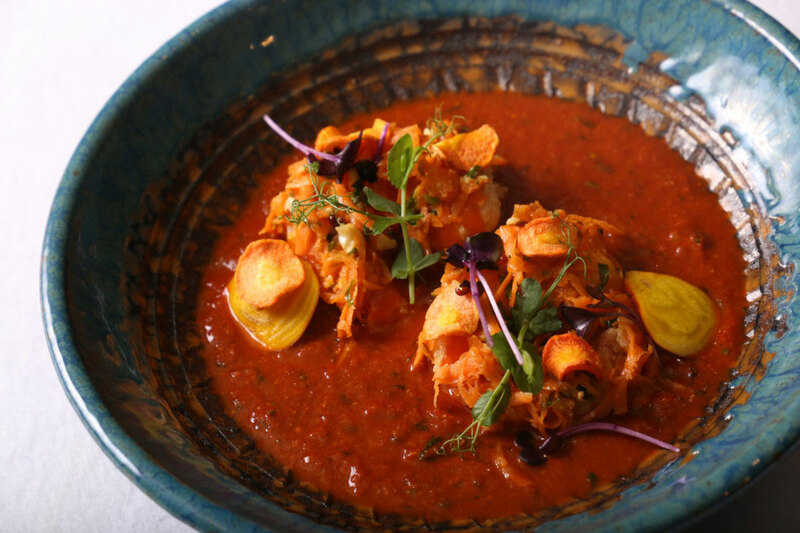 Our favourite dish is the signature lobster curry – a mild tomato based dish with succulent generous chunks of perfectly grilled lobster tail meat in a light and creamy sauce. The bar serves a large and unique selection of cocktails, with the fig smokey old fashioned being one of our favourites. 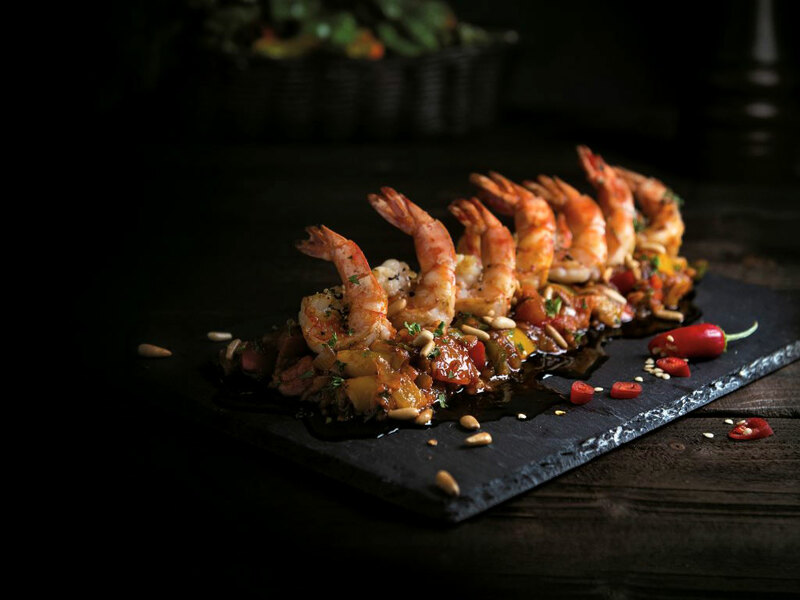 The food is fresh, different, and filling, with the service being some of the best that we’ve experienced in Dubai. The Italian restaurant/nightclub is the creation of namesake owner and international fashion designer Roberto Cavalli. The global brand features on premium vodka (which is the only one available in the club), clothing, watches and interior design projects. 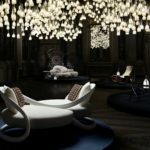 The venue which is based in the Fairmont Hotel, is glamorously clad in over 200,000 Swarovski crystals, and the interior design focus on grandeur to create an experiential journey for the guests, from the fury walls to the levitated VIP ares and acrobatic performers swinging from the ceiling. 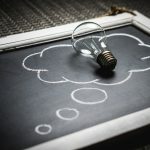 The restaurant/nightclub hybrid is a unique experience. 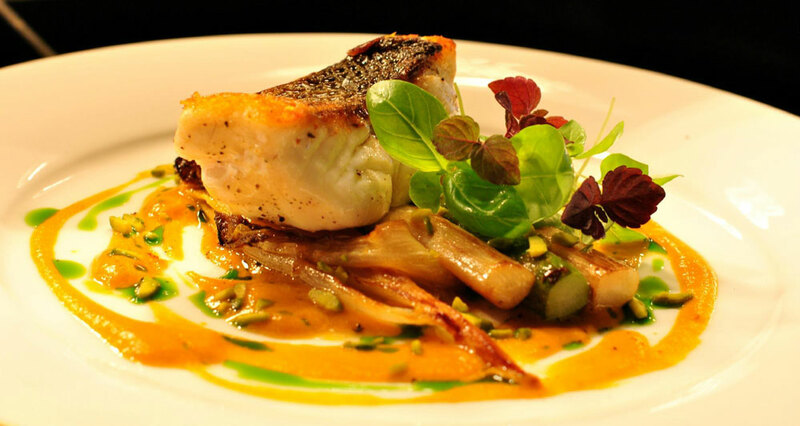 Dining starts at 20:00, with a modern Italian A La Carte menu. As the food and drinks flow, DJ’s play progressively louder music throughout the evening, the lights subtly adjust, and tables are gradually taken away. Before you know it, the venue has filled up, the music is pumping and you’re in the middle of the dance floor surrounded by Dubai’s elite movers and shakers. Our favourite dishes are the house cured beef carpaccio with fresh black truffle, and the Risotto di mare – a delicious seafood and fresh tomato dish. We of course had to sample the house vodka too! 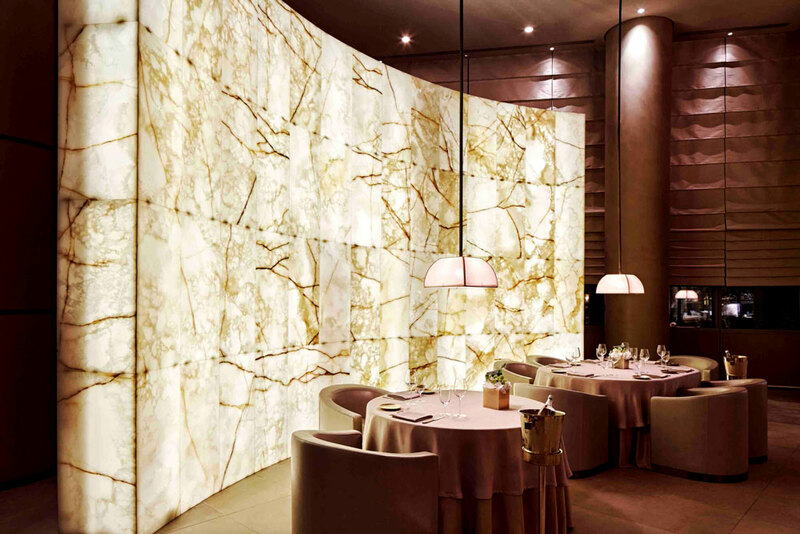 Located in the Burj Khalifa along with the Amani Hotel and 2 other restaurants, Armani/Ristorante is the epitome of decadence, elegance and luxurious indulgence. To fully experience the haute cuisine and talents of the accomplished chefs, we highly recommend trying the taster menu. It takes you on a 3 hour+ culinary journey through flavours, textures and combinations of succulent meats, delicate pastas and unique sauces. 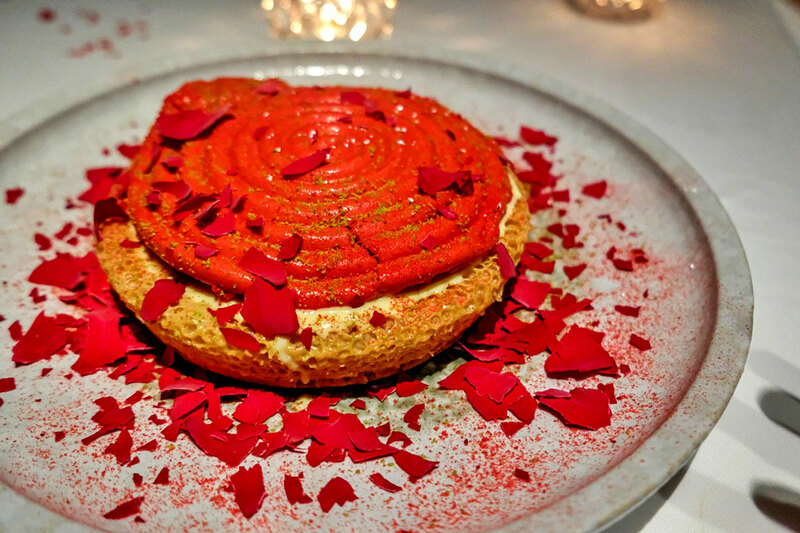 The only way to describe the exquisitely presented food would be an Italian fine dining degustation, taking influence from traditional flavours, mixed with modern and almost experimental twists. The scallop carpaccio, for example, is like nothing we’ve ever experienced, along with the truffle ravioli and seared sea bass are truly unique. 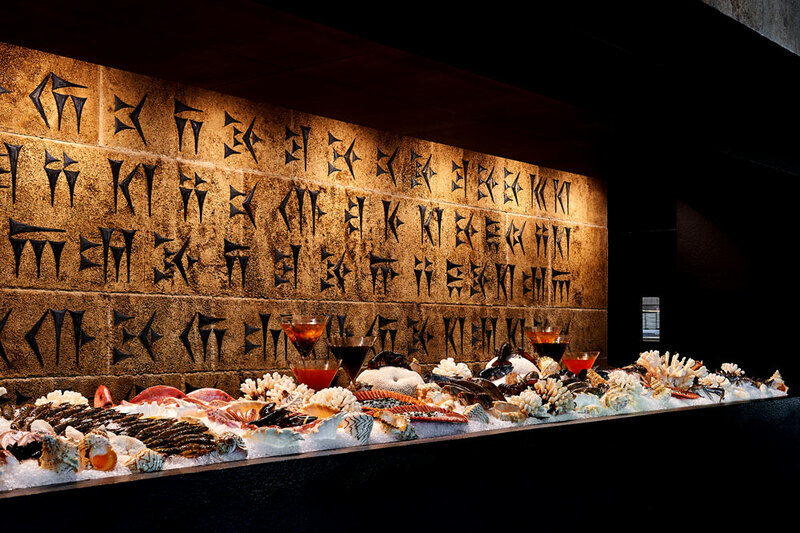 Lebanese food is extremely popular in Dubai, and one of the finest restaurants to showcase this unique cuisine is Babel, located at La Mer Beach. 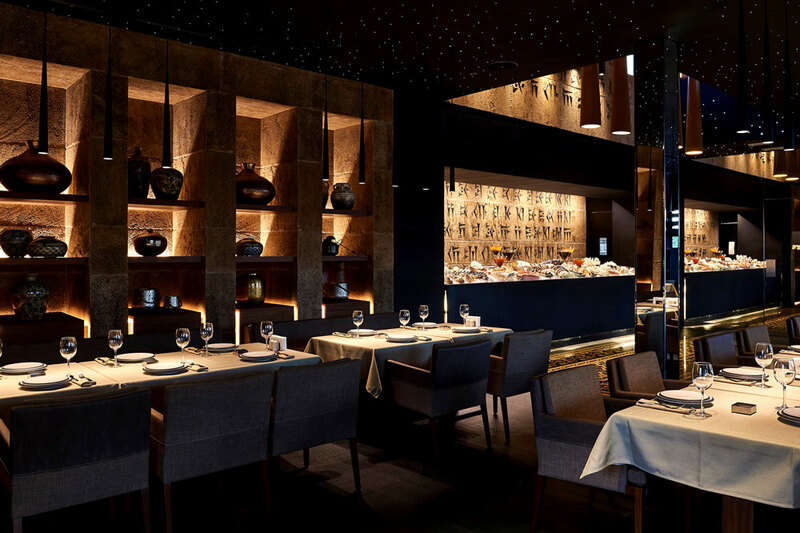 The newest restaurant in our guide, Babel as only been established for 6 months, but it has already gained acclaim for serving some of the best Lebanese food in Dubai. You can enjoy the nightly fireworks display from the roof terrace, or relax inside the spacious dining room. Originating in Dbayeh in Lebanon in 2009, Babel has several venues across the Middle East, with a focus on authenticity to the Lebanese culture mixed in with uniqueness and creativity. The progressive style food has landed Babel with several awards, and it’s easy to see why. With a large, varied menu, the contemporary tapas style dishes are great for sharing, and allows you to try new and exciting flavours. The fresh fish bar presents the latest catches of the day, including king prawns, crab, seabream, and lobster – each one perfectly cooked to order. Our favourite dishes are the Fattet Shrimps – a traditional eggplant based sharing plate, the fresh crab with cocktail sauce, and the pesto hommus. After a hard day of shopping in Dubai Mall’s Designer Avenue, what better way to relax than with a casual meal at Todd English. Located amongst high end stores like Gucci, Louis Vuitton and Versace, the Food Hall is a culmination of cuisine from around the world, all in one place. 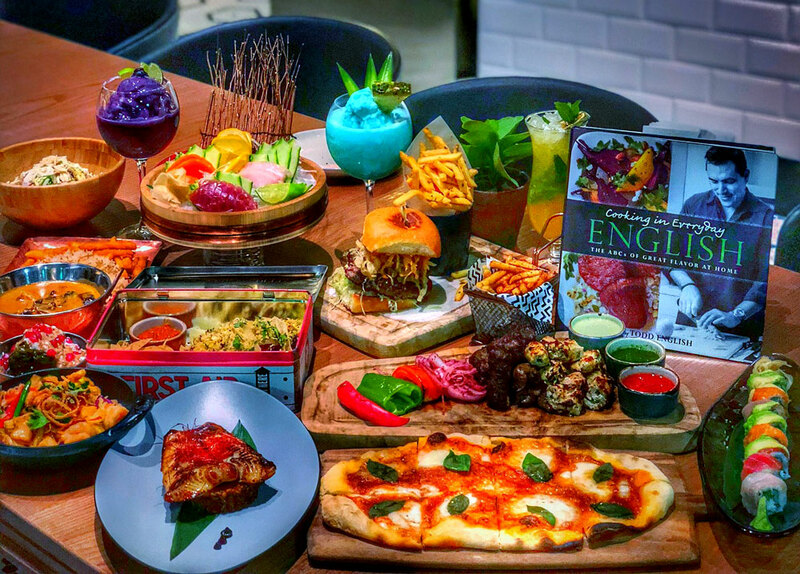 With live stations throughout the restaurant, you can have an American style burger and fries, some authentic Italian pasta, a Lebanese mezze or even fresh sea food, there’s something for everyone. Whether you stick to one region, or try dishes from each of the stations, you’ll find everything freshly cooked and full of flavour. A unique culinary experience, the food hall takes you on a journey through an international spectrum of eclectic food. 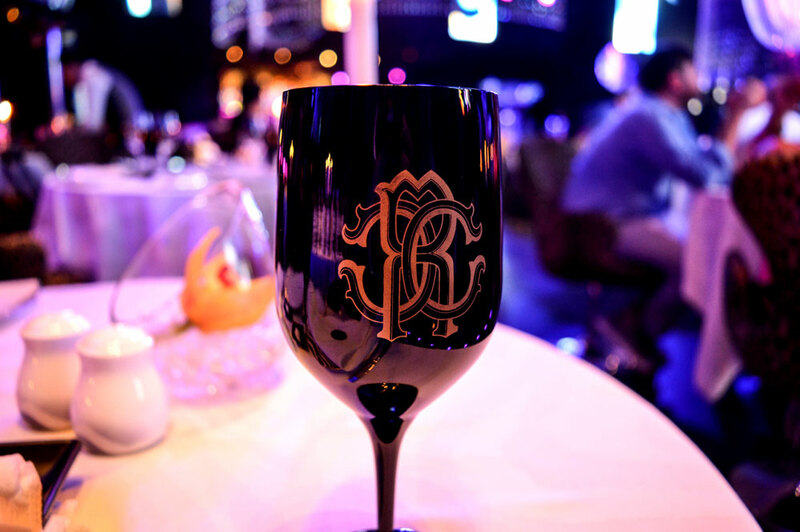 Set in a 20,000sq ft dining space, the venue is light, cool and classy, boasting perfect views of the fountains. 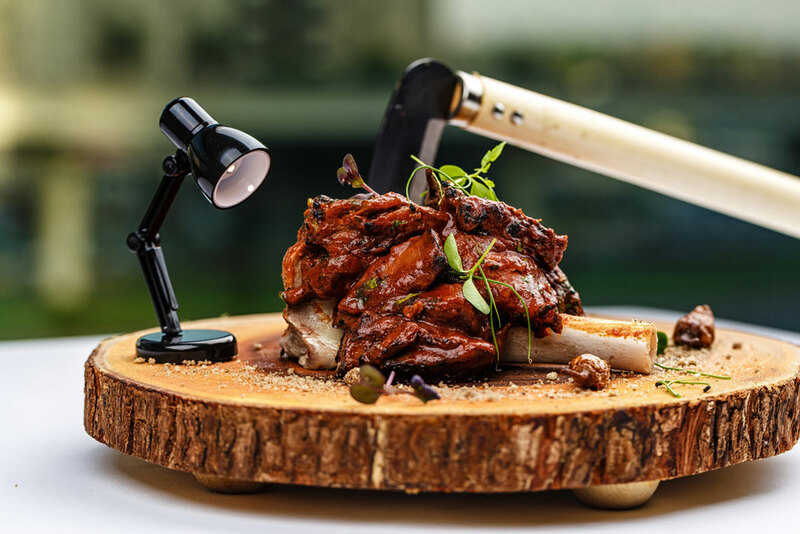 So be sure to secure a terrace table to fully enjoy the mesmerising shows, and try our favourite dishes which include the lobster dumplings, fig & bresaola pizza, spicy crab pasta and the Korean fried chicken. 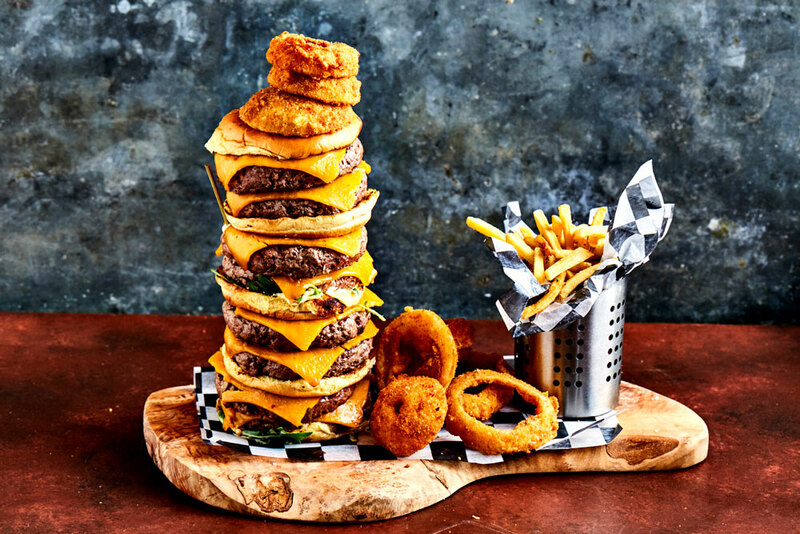 If you’re feeling exceptionally hungry, then why not try the ultimate challenge with the burger stack featuring 8 juicy patties, cheese, onion rings and sides, yours for free if you can finish it in 20 minutes. 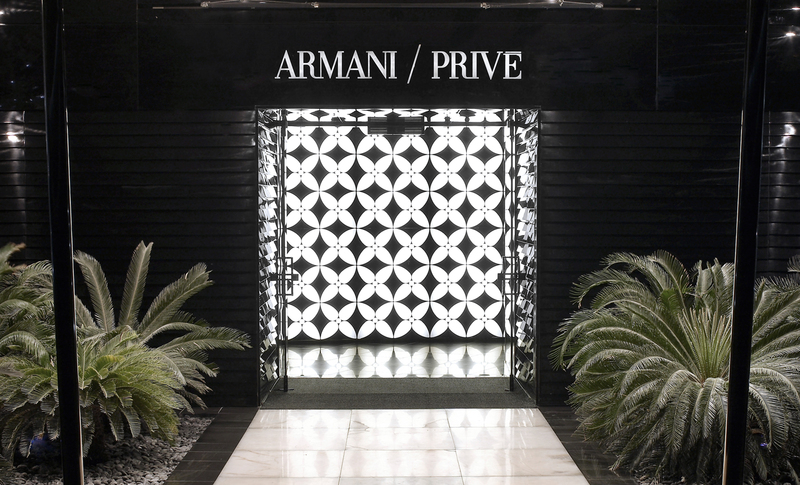 The third Armani venue in our guide is the exclusive nightclub tucked away at the foot of the Burj Khalifa. The premium night spot embodies the essence of the Armani brand, with minimalist yet decedent decor, marble bars and the largest video wall we’ve ever seen.Hailing from Milan, the exclusive lounge introduces Dubai visitors and residents to international DJs and celebrity VIP guests, Armani/Privé is a premium experiential venue. Ladies nights features every Sunday and Tuesday evening, with free entrance and complementary beverages, and provides a fun, sophisticated party atmosphere to couples and mixed groups only. 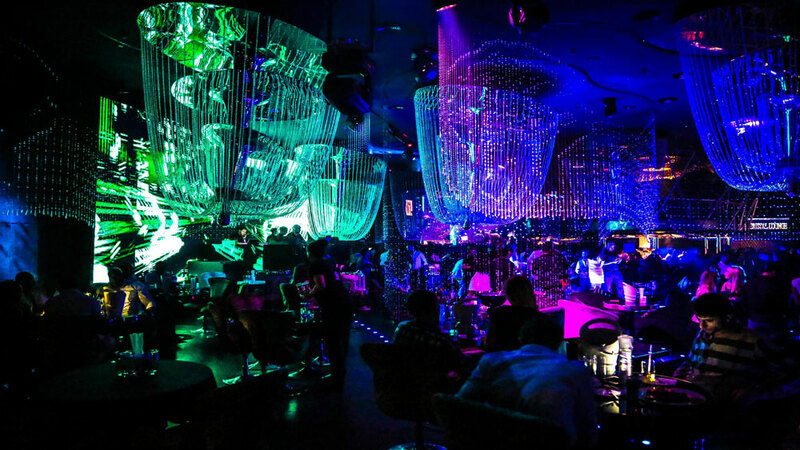 You can dance the night away with Dubai’s most stylish crowd. 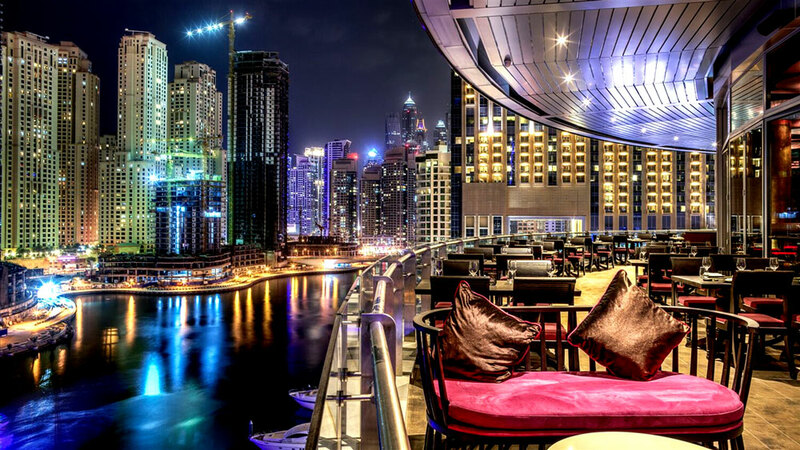 Nestled on the 63rd floor of the Address Downtown hotel, NEOS is an avant-garde style lounge with live DJs, an impressive cocktail menu and of course, incredible views. After seeing a complete refurbishment in 2016, NEOS serves up a brand new look with a much more contemporary feel. With a neutral colour scheme and elegant touches throughout, the venue features a central island bar, with multi level seating areas and lots of comfortable sofas. The signature cocktail list is enviable for any bar, and there’s something for everyone, including classics and modern interpretations. Our favourites include the vodka-and-elderflower Imperial Black Berry, and the bourbon old fashioned. 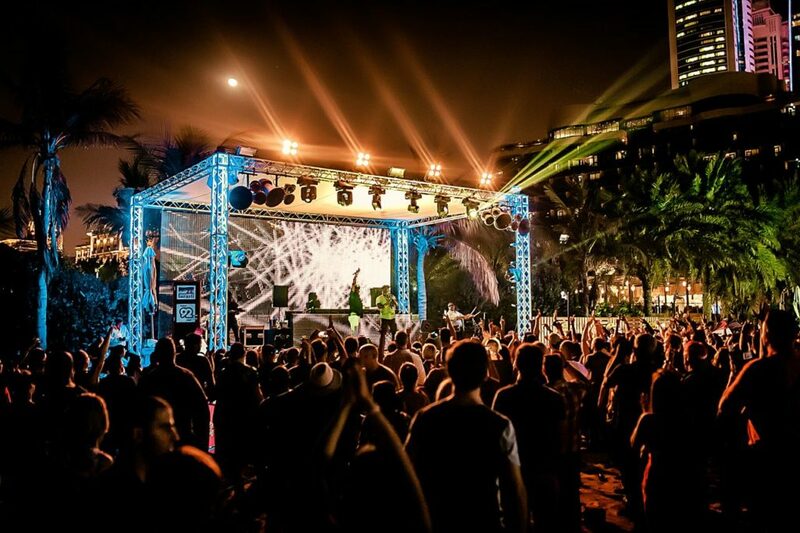 Barasti Beach Bar is a classic and much loved venue for tourists and expats alike, a staple weekend party destination for what seems like forever. The cool Caribbean style outdoor bars lead onto a private beach with beds and sun loungers which get cleared away for the evenings fun. A large stage on the beach houses DJ’s and bands, with huge video walls and lighting, the atmosphere is like no other. Set against a backdrop of skyscrapers, you can kick your shoes off dance the night away on the sand. You’ll be hard pushed to find anyone in Dubai who hasn’t been to Barasti, its a staple on the social calendar. Pier 7 is a truly unique venue. A 7 storey cylindrical building which juts out into the marina, with each floor boasting a different and exciting experience. Comprising of bars, restaurants, and a rooftop terrace. The signature building has seven different venues on each of its floors, and is a nightlife destination that celebrates diversity in the art of fine food, drink and entertainment. 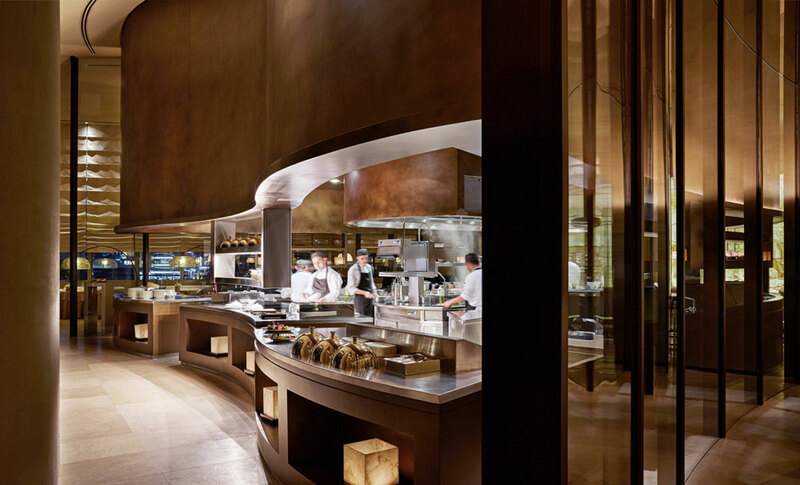 Each floor offers a new adventure, with a contrast in tastes, presentation, ambience and style from each establishment. Each bar has it’s own wrap around balcony, giving fabulous views of the marina below.